In 1805, Meriwether Lewis named a stretch of the Missouri River just north of Helena “Gates of the Mountains.” He might as well have applied the name to the entire Prickly Pear Valley because his expedition encountered plenty of mountains from that point forward. Over 200 years have since gone by and, for many Montanans, the Helena area is still the Gates of the Mountains. For people who love to run, hike, and bike, Prickly Pear Land Trust (PPLT) is the gate keeper—or gate opener. Founded in 1996, PPLT is Helena’s go-to organization for open space and trails; quite literally opening recreational access to miles of trails in the greater Helena area. The non-profit PPLT accomplishes its work in preserving open space through conservation easements—it currently has 15 conservation easements covering nearly 3,700 acres in the greater Helena area. For the past 13 years, it has also functioned as the City of Helena’s trail coordinator. This has meant building and maintaining trails in Helena’s South Hills Trails System. The trail network features more than 70 miles of trails adjacent to the city’s downtown core. It's pretty much a trail runner's paradise. 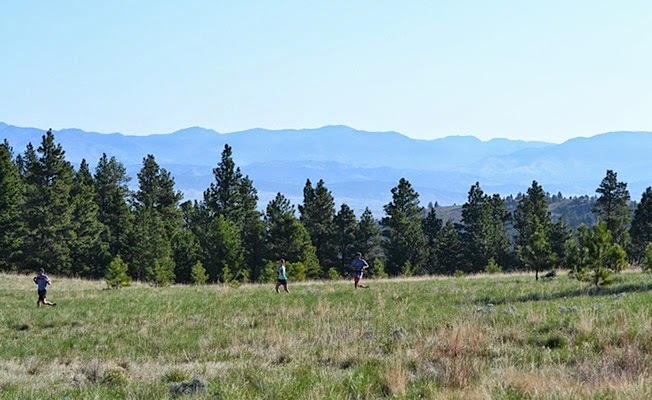 This Saturday, Montana runners get to race those trails and experience PPLT’s work first hand in the 14th running of the Don’t Fence Me In Trail Race. According to race director Martin Miller, the general idea for the event came from fellow land trust volunteer Kris Larsen. 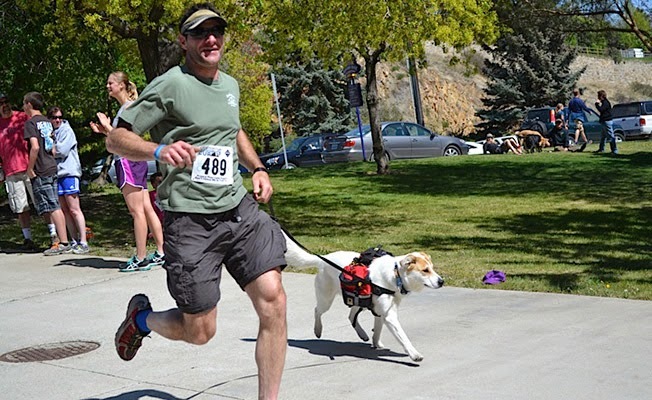 Originally taking place at the Old Shooting Range and covering 5K and 10K distances, the event moved to Helena’s historic downtown in 2004 and upped its longest race to 12k. In 2008, it added a challenging 30K route. For the PPLT, the Don’t Fence Me In race means a whole lot more than a fun day in the mountains. It’s a major fundraiser with many participants gathering pledges for their favorite trail organization, the PPLT. According to Butenko, PPLT also benefits from trail work days from a broad spectrum of constituents, ranging from dog-walkers to the local high school cross country team. She encourages trail runners to become active stewards of trails and suggests that we do our part by supporting our local land trust. For those of you who are able to experience the 2014 Don’t Fence Me In (you can still enter, but 30K registration closes today--Wednesday--at midnight! Race day registration is available for the other distances) you’re in for a show. Fans of the competitive side of things will be treated to what may be the deepest field in the event's history as the La Sportiva Mountain Cup ensures its place among the most competitive trail races under the Big Sky. Montanans Keifer Hahn, Justin Yates, and Mike Wolfe have stood on top of the 30K podium, as have accomplished out-of-staters Jared Scott, Megan Kimmel, and Rob Krar. This year’s race should follow a similar script with a number of fast Montanans toeing the line against top-level national talent drawn to Helena to improve their place on the Mountain Cup’s standings. Justin Ricks… Colorado Springs, Co… 2:22 marathon, CR at 2014 Moab Red Hot 33K, winner of 2011 Eugene Marathon, 2nd place at 2012 DFMI. 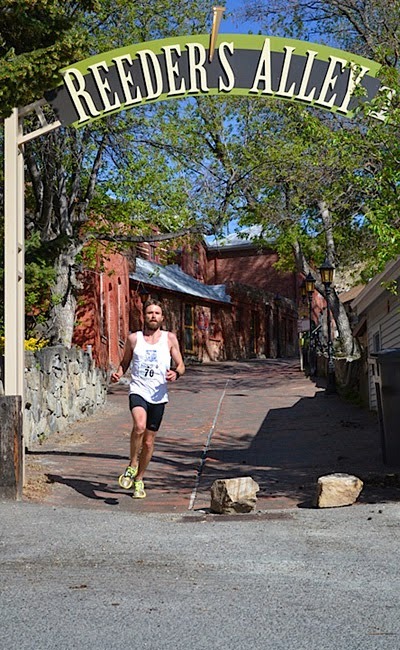 Jared Scott… Dolores, CO… 2:27 marathon, Former U.S. Mountain Running Team member, 2011 DFMI Champion, 2011 La Sportiva Cup Champion, DFMI 2nd place in 2012. Bret Ferrier… Ogden, UT… 2:32 marathon, winner of 2014 Hillbilly Half (La Sportiva Cup event), currently 3rd in series standings. Justin Houck… Mercer Island, WA… 2:25 marathon, 1:10 half marathon. Jesse Zentz… Helena, MT… Local favorite representing the Vigilante Runners, Former UM Griz and Big Sky Conference champion in the mile, past champion of the DFMI 12K, 3rd 2014 Snow Joke. Megan Kimmel… Silverton, CO… 3-time champion at DFMI, Former U.S. Mountain Running Team member, 2012 USATF Trail Runner of the Year. Maria Dalzot… Bellingham, WA… 2011 North American Mountain Running Champion, podium finishes at several U.S. Trail Championships. Em Kendrick… Missoula, MT… 3rd at 2012 DFMI. Paige Pattillo… Ellensburg, WA… Champion 2014 Hillbilly Half, currently 5th in Mountain Cup standings. Sarah Kjorstad… Helena, MT… 3rd at 2014 Hillbilly Half, 4th at 2014 Moab Red Hot 33K, currently 4th in Mountain Cup standings. Lindsay Swan… Bozeman, MT… Winner 2013 Elkhorn 50K, 4th place 2012 DFMI.